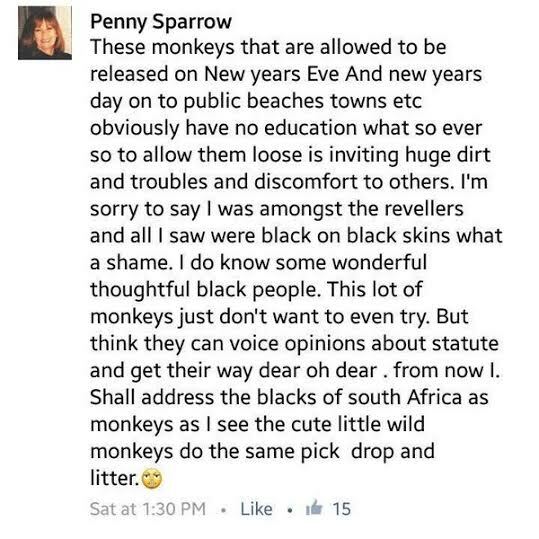 A white South African woman that referred to Blacks as monkeys apologized. 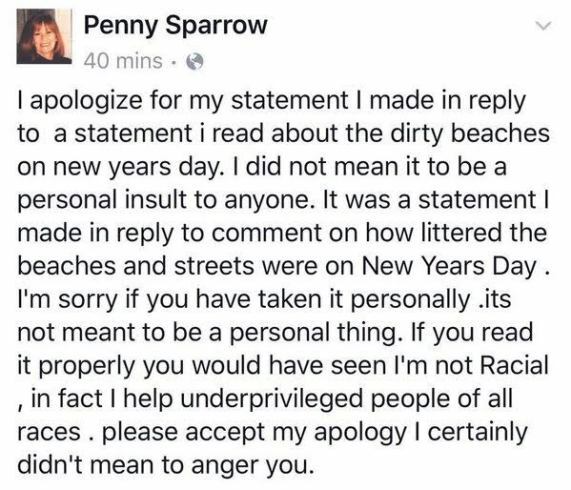 Although she has since taken down the post and offered an apology, the Democratic Alliance has laid criminal charges against Penny Sparrow. DA member Herman Mashaba laid the criminal charges against Sparrow with the SAPS, and a case has been opened. DA spokesman Mabine Seabe said in a statement the party's KZN branch has also served notice of intention to suspend Sparrow's membership and has referred her conduct to the Federal Legal Commission for investigation. 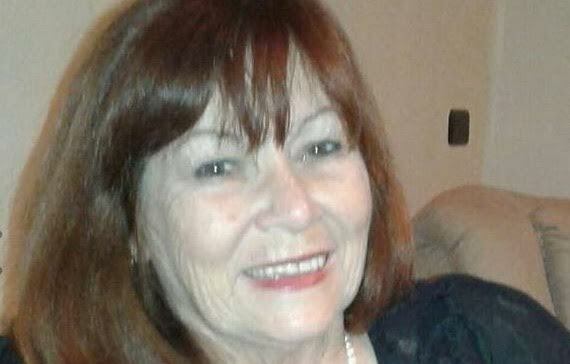 "Racists are not welcome in the DA, and have no place in our democratic South African society," the statement read.